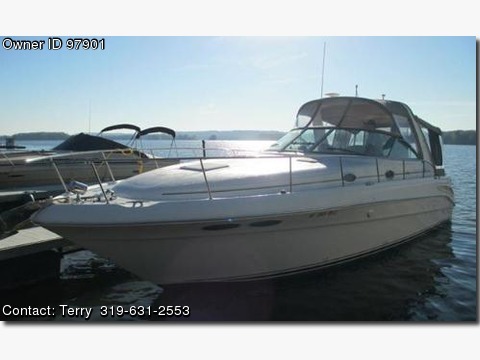 Please call boat owner Terry at 319-648-2174 or 319-631-2553. Extended length with swim platform 36'2". Approx 550 hours on each motor and generator approx 650 hours. Well maintained by winter wrap on indoor storage. Has rear camping enclosure and replaced refrigerator in lower cabin this summer. Located at Sunset Marina under covered slip.